A snowed-in book releasing in August?! I know. It surprised me, too. But with Stefanie Ferguson's book following in December, we had to give Chase some room to groove. Release dates with Harlequin are sorta... confusing. The book releases in Harlequin e-book and is able to be purchased at Harlequin.com an entire month early (in this case July 1), and then the e-book is released wide on August 1, and then the mass market paperback hits actual brick-and-mortar shelves on August 7. 😐 The staggered release dates are a challenge when sharing release dates, teasers, etc, so to simplify, I choose the first of the month to begin shouting about the book from the rooftops! You'll find a little something different in A Snowbound Scandal: Stefanie, Chase's sister and star of her own book later this year, has her own POV. It was something I wanted to try when my editor suggested it, but I admit, I was nervous. When I write a book, I'm entrenched in the hero and heroine and that's it, but I liked having the connection to Emmett (the hero of book 3) and Stefanie "back home" in Dallas while Chase and Miriam are snowbound in Montana. It kept the connection in Texas where the series takes place and gave us a peek at just how well Emmett and Stef do NOT get along. Chase Ferguson was one of my favorite heroes to write. A billionaire mayor, he's put his family first, and his public second, and damn his heart in the process. As a result, he left Miriam in the dust of his past and is determined not to relive that past... until she literally comes knocking on his door with pie in hand. They spend Thanksgiving avoiding treacherous weather and sensitive topics with each other, but gradually they both begin to thaw and find that the long-ago love between them is still on fire. *Comments are welcomed and encouraged, and yes, I do respond! 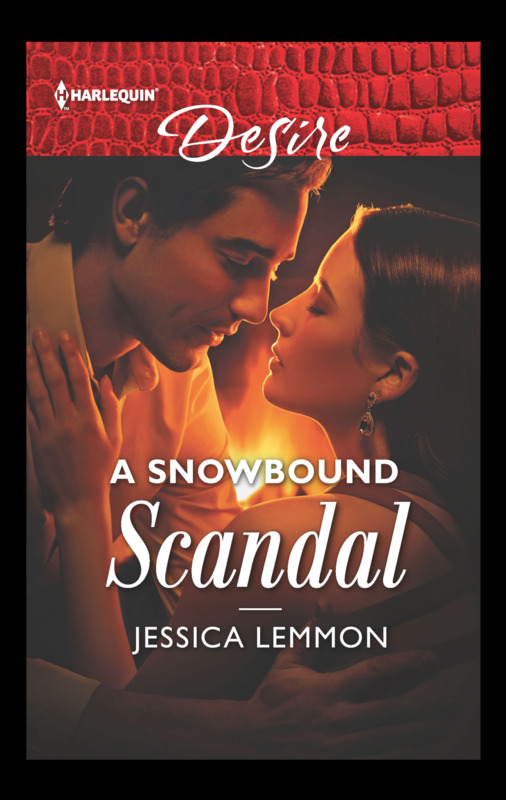 Have you read A Snowbound Scandal yet? Who was your favorite character? What did you like/dislike most about Chase and Miriam? Discuss!